I’ve mentioned Constructivism a few times recently, as an influence at Krasinski, and as a point of interest in Stockholm. When I was studying, Construcitivism was one of the movements which interested me most. And yet it’s not very well known at all – chances are that some of you have never heard of it before. So I thought it might help to shed a bit of light on the articles above if I explained what it was, and why it’s worth knowing about. To do this, we’re going to take part in a little imaginative exercise. Imagine that you’re an artist in turn-of-the-century Russia. The arts are being increasingly experimental both internationally (over in Paris Picasso is starting to ‘create’ Cubism) and at home (where Malevich exhibits Black Square in 1915). Political and social heirarchies are stifling, but there’s new ideas rippling in the air. Ideas which, in 1917, see the old way of doing things brought down. This is REVOLUTION: out with the old, in with the new. A subtle addition to any home. I’m sure many of you have at one point or another sat at home or in the pub, planning what kind of society you would build if you had the chance. Have you ever considered what it would look like? It’s important. What a building, sign, town looks like reflects what values we want as a society. Why do you think neo-classical themes are so universally popular? It’s a style which makes a statement about upholding “ancient virtues”, or whatever you want to call them. Now I’ve been to Russia, I’ve seen the Kremlin and the Winter Palace. They’re pretty damn opulent – velvet and gold everywhere. 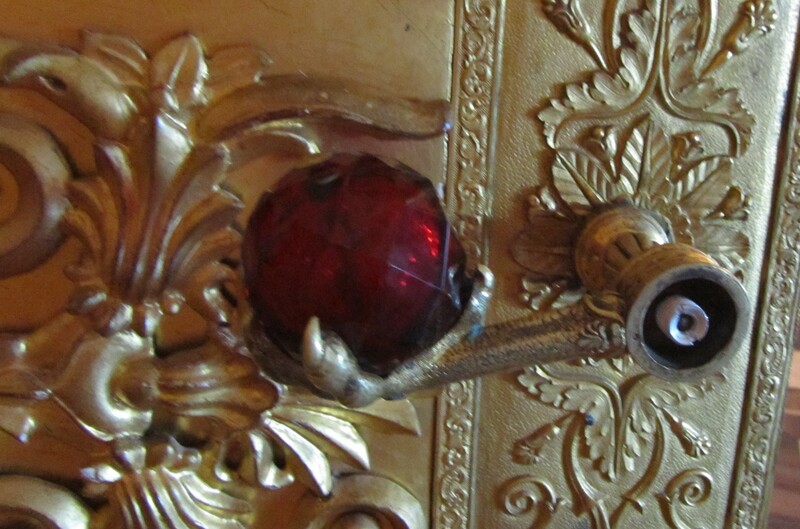 The door handles in the Winter Palace (now the Hermitage) are frickin’ eagles feet holding gemstones. Even as a Brit used to a bit of royal pomp, it’s ridiculous. 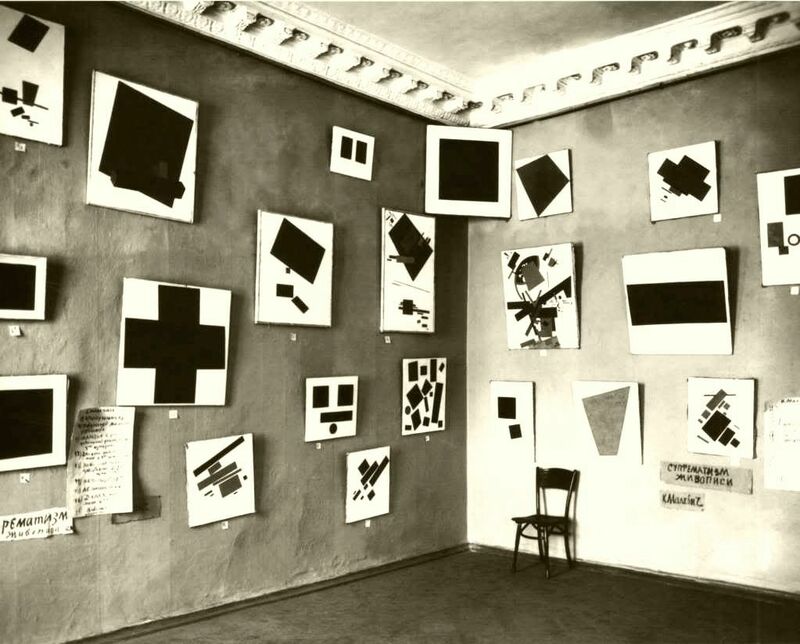 Photograph of the Suprematist exhibition of 1915 – beginning a style revolution. Unknown photographer. And suddenly, that’s all over. Those in charge are directly commanding the old to be thrown out, and for something new to take its place. No wonder pieces like Black Square suddenly became iconic: you can’t get a much more dramatic replacement for religious imagery. Now to continue the exercise, let’s imagine the other changes going on in society at the time. There’s increasing mechanisation & industrialisation, for example. In Russia, a country with a huge farming population, this had the potential to be massive (the fact that it wasn’t yet is kind of why even Marx thought Communism was doomed to fail there, but that’s for another time). If you lived in a city there were signs of this modern world in every shop and on every street. Bring together technology and the progressive politics of the Communists, and you get Constructivism. The thing which I find most inspiring about the Constructivists is that they absolutely intended their style to become the visual norm for the new world they were building. A lot of their work and influence can be seen in posters. Posters were the perfect medium for communism – cheap to print, easy to distribute, and could be hung anywhere and everywhere. 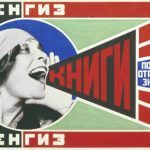 From the two posters above (click pictures for captions) you can tell just how radically different from the past the Constructivist style was. There’s nothing ornate or opulent here – instead it’s all clean lines, bold shapes and eye-catchingly simple colour schemes. It’s art which screams about something new (in the case of the Rodchenko, almost literally). Yet it’s also surprisingly relatable. You don’t need to be an expert in politics to understand exactly what Beat the Whites with the Red Wedge’s political point is. They had bigger ambitions, too. 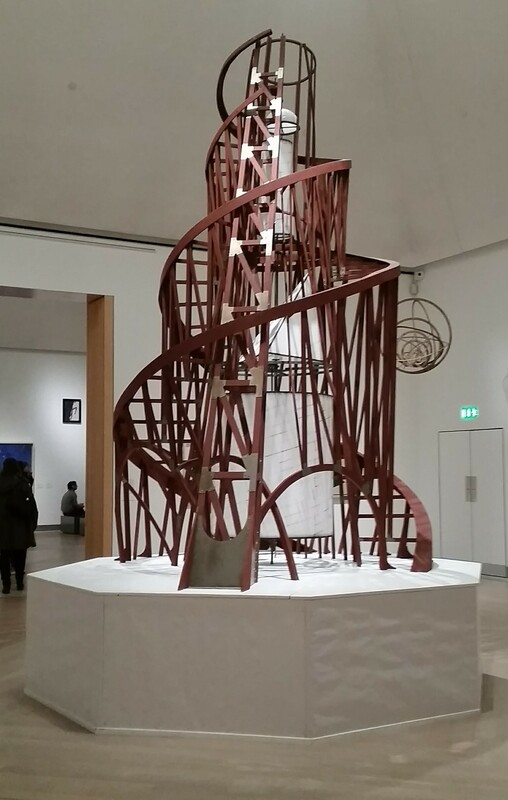 I mentioned seeing Tatlin’s Tower in Stockholm, which has to be discussed. Designed to hold the headquarters of the Third International government, you couldn’t really get much stylistically further from the Winter Palace – and this was meant to be much, much bigger. Stretching skywards as a symbol of potential, the what might be. What an icon it would have been if built! But of course, it never was. After a while, the government decided this was all a bit too radical. What they needed, they decided, was propaganda to appeal to the masses, most of whom were completely detached from the cultural life of Moscow and St Petersburg. So art got safer, turned more obviously into propaganda. And though their influence can still be seen in many of those “kitsch” Soviet images from the 1930s onwards, I consider it to be a wasted opportunity. It must have been so exciting to be able to be part of creating something brand new, dreaming of a freedom of expression which could only have been imagined before – only to be told this wasn’t what was wanted after all. What a shame. But their style did make an impact in other countries too, with some Constructivist artists going to work with movements like the Bauhaus. And I discussed them in relation to Krasinski because I felt there were parallels to be made between his experiments with form, position and light, and what the Constructivists were doing (I could write a whole other article about Constructivist theatre and cinema as part of this, which would be relevant here too). Movements come and go, but ideas stick around. We’re just left to imagine the future that might have been. 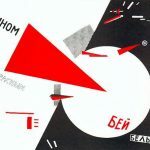 This entry was posted in Home, Let's Talk About It and tagged art, Contructivist, design, Politics, poster, revolution, Russia. Bookmark the permalink.